CJO Photo: Life's Most Persistent and Urgent Question Is, 'What are You Doing for Others?'. 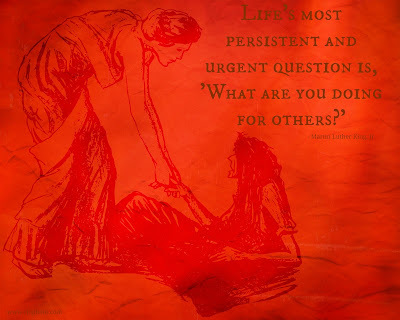 Life's Most Persistent and Urgent Question Is, 'What are You Doing for Others? '.